The use of voice AI technology is rising! 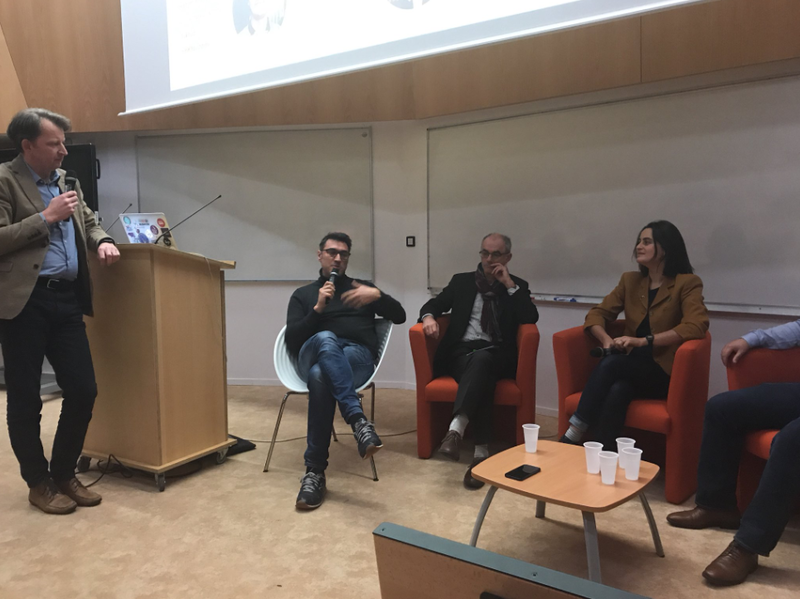 We were at the Voice / AI meetup organised by 1Kubator (thanks to them!) to talk about how we use voice and AI technology in robotics, showcasing SPARK, our smart solution for robots. Big first for Pepper the robot who answered all questions about SPARK, thanks to SPARK! We use the best of AI (Most performing chatbots & voicebots and the best knowledge technologies) to provide smart, useful and efficient interaction with social robots. 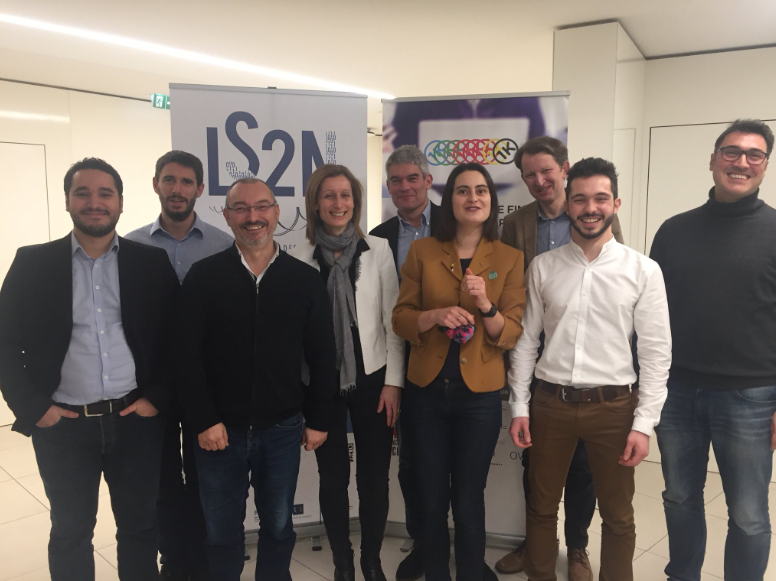 Nothing would be possible without passionate and talented people working hard to make robots smarter everyday! What if you could ask any questions to robots? Using the most performing knowledge technologies from the Web in our SPARK solution, people are now able to ask any questions to robots. 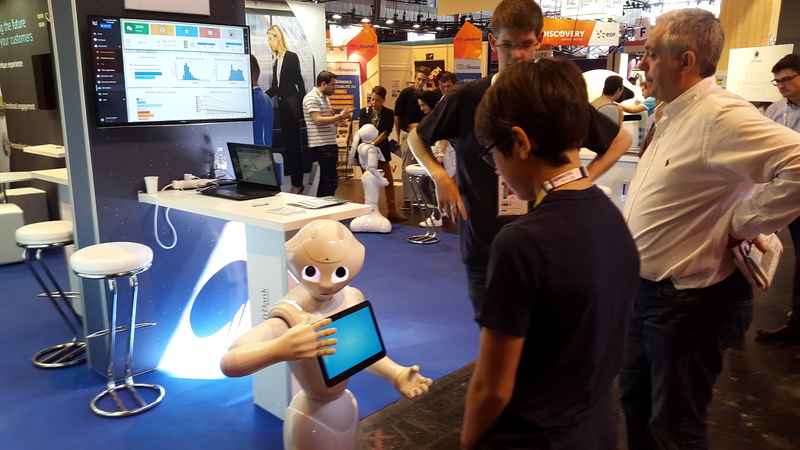 The robot answers questions and goes beyond by proposing to follow the conversation based on the context and uses its tablet to display useful information! The speech, the tablet display and the body language are fully adapted, providing a natural way to communicate with Pepper. We just released SPARK, an Android-based solution which integrates the most performing AI chatbots and the best Knowledge technologies, enabling to get a smart, useful and effective interaction with robots. 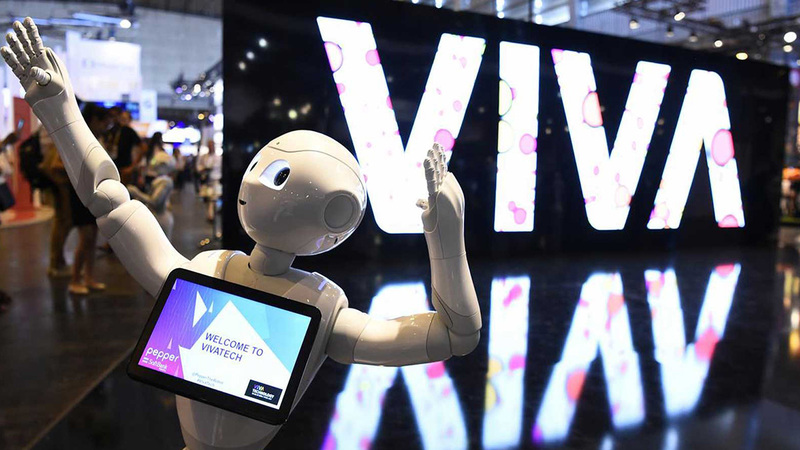 We will be attending Pepper World, which will be hosted at Vivatech in Paris. We will take the opportunity to show SPARK, our new solution for robots. More info here. 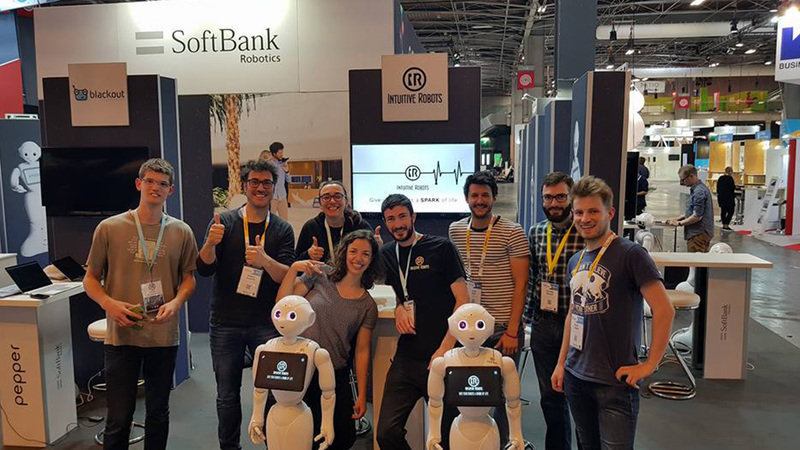 Softbank Robotics America is now the official owner of Pepper4Services, the CMS dedicated to Pepper robots. In partnership with SBRA, we’re designing a new business solution for Pepper enabling to attract, engage, convert and reward the customers. More info on Softbank Robotics America website. 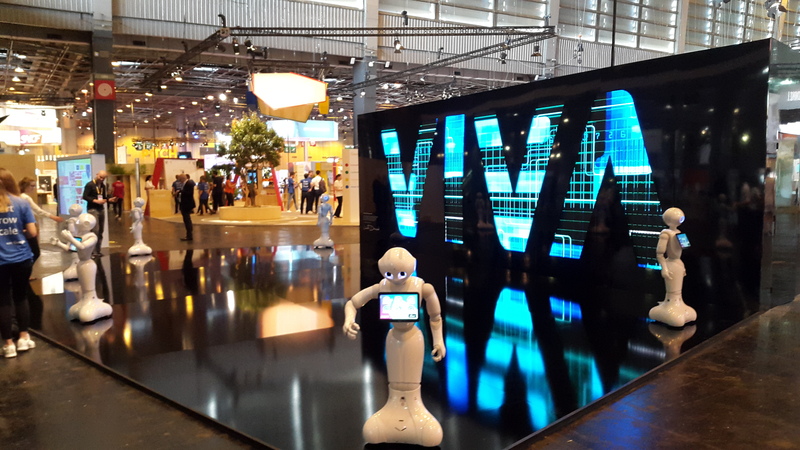 For this second edition, 6 Pepper robots welcomed visitors at the main entrance. Using our P4S applications, Pepper’s job was to give information about the main conferences, help people to find their direction and entertain them with interactive games. 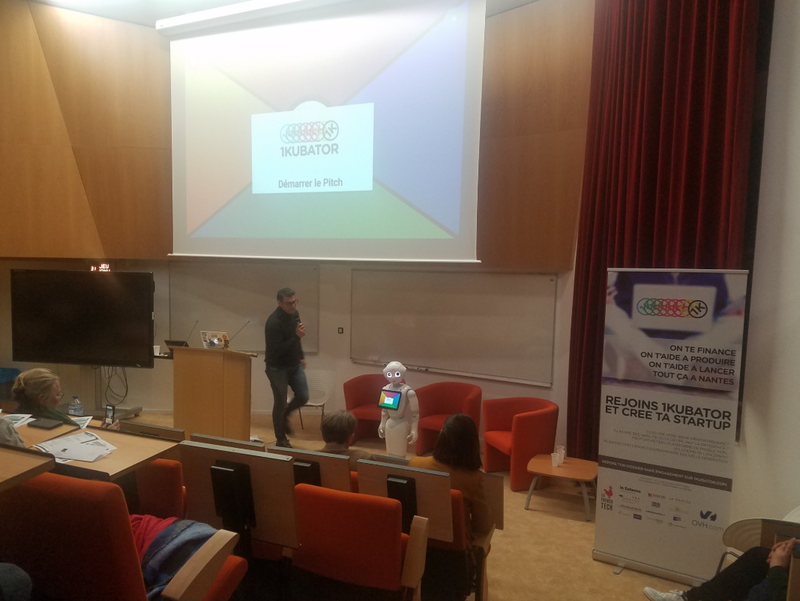 In addition to the Pepper partners village organized by Softbank Robotics, we were also at Carrefour Lab where Pepper made the promotion of smart devices. 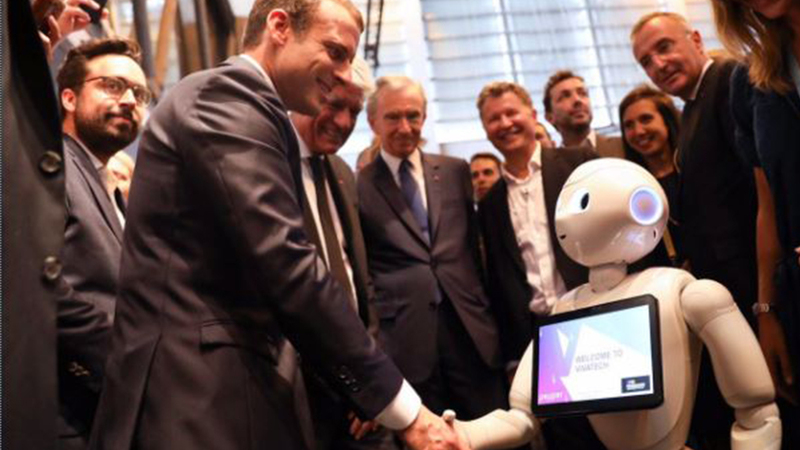 Best moment so far was the handshake between Pepper and French President Emmanuel Macron. 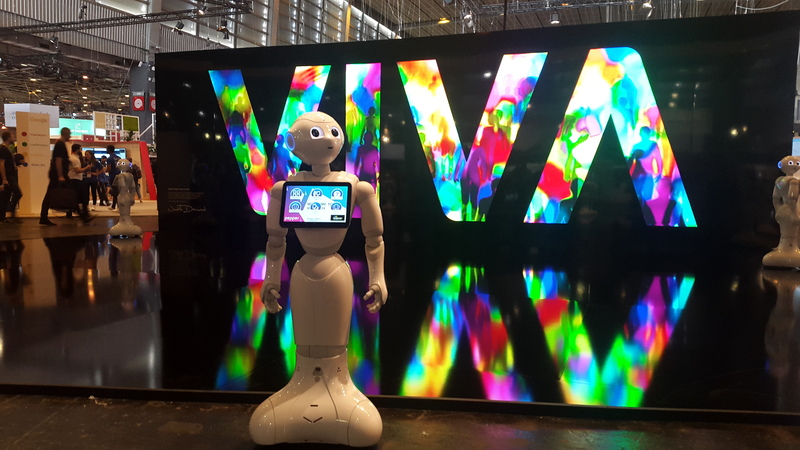 We will be at the next Vivatech edition end of May, click here for more info. Finally an event fully dedicated to Pepper in France! 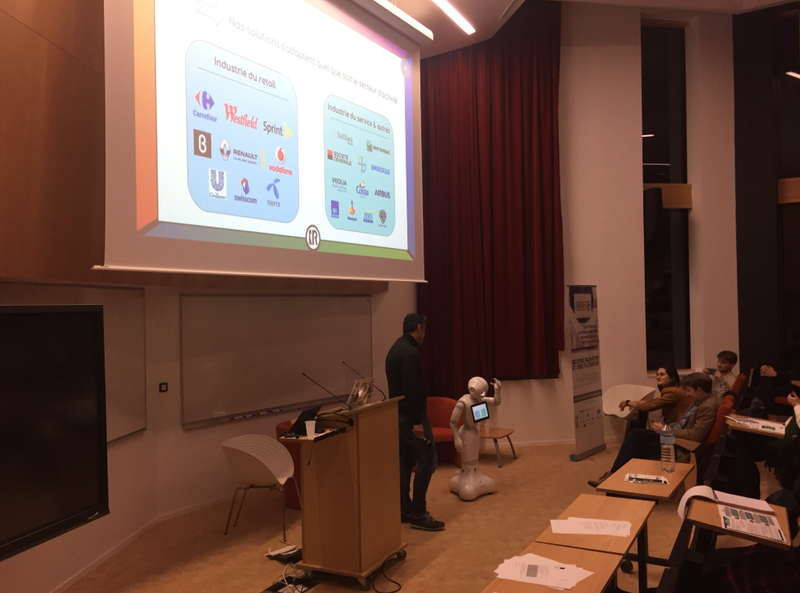 Organized by Softbank Robotics Europe, we showed our P4S solution and its new features, enabling to deploy Pepper even more rapidly in any kind of business! 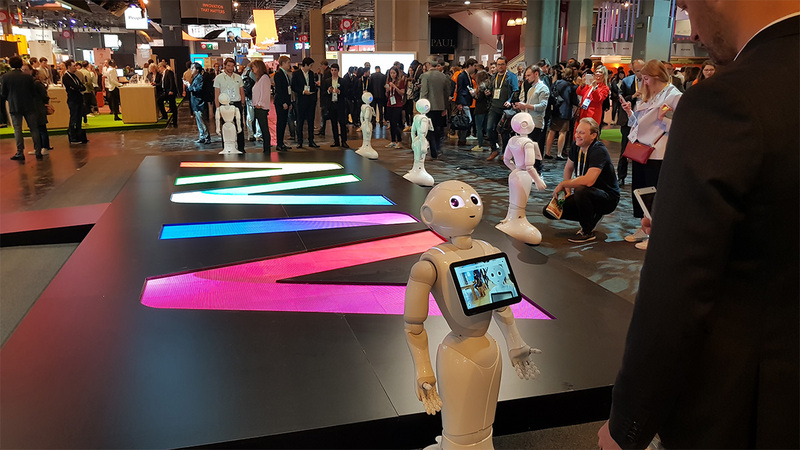 Recently deployed in two Westfield shopping malls, Pepper’s main mission is to assist concierge services, drive foot, entertain shoppers with games and dances and gather valuable customer data. 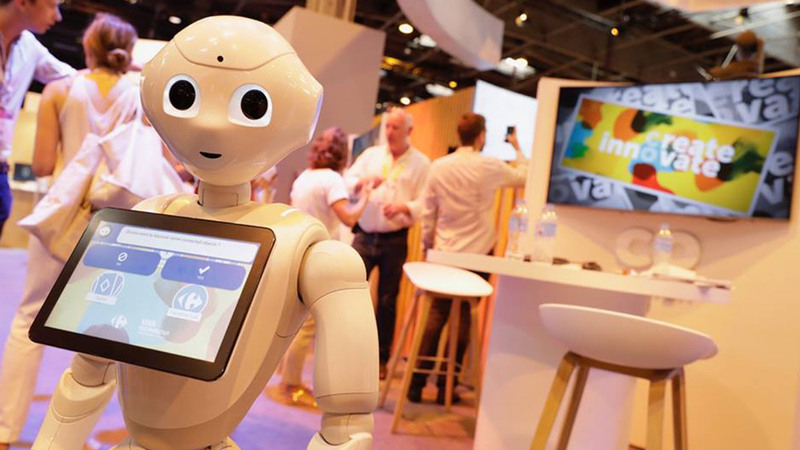 To create apps, the company is using our Pepper4Services CMS, enabling to easily build and manage the robot’s behavior (speech – tablet display – gesture). Full case study from Softbank Robotics US here.